Download and read LBT Innovation’s latest Annual Report for the year ending 30 June 2018. LBT Innovations announce the commencement of its clinical study to validate the performance of APAS Independence for automatic detection of MRSA. For the latest company information. What does LBT Innovations do? LBT Innovations provides advanced technology solutions to the healthcare industry through the use of artificial intelligence and software engineering. Our APAS® technology uses intelligent imaging to automate the reading and sorting of culture plates for clinical pathology - the most time-consuming process in the microbiology workflow. Through our team of artificial intelligence and software engineering experts, we are looking at opportunities to extend our platform technology towards new applications in areas, such as, wound treatment, histopathology and antibiotic sensitivity screening. MicroStreak®, LBT's founding technology, is an automated culture plate streaking technology. It performs the task of streaking (spreading) a clinical sample, such as blood or a biopsy suspension, on a small plate lined with agar gel. Once colonies of bacteria grow to a sufficient size, scientists can identify them and diagnose a patient’s disease. Traditionally, culture plates are streaked by hand in a time-consuming process that is prone to human error and variation between samples. The first robotic streaking system that used the MicroStreak® technology was capable of processing 180 culture plates per hour, which is significantly more than an experienced human technician. Published scientific research has shown that the MicroStreak® system is not only much faster and more efficient than the traditional method, but also produces superior results – with higher bacteria yields and better colony diversity. What is the APAS Independence? The Automated Plate Assessment System, or APAS®, is a platform technology for the automation of culture plate screening, evaluation and sorting. While LBT’s first product MicroStreak automates the inoculation and streaking of the agar plates, APAS streamlines the next stages of the process. 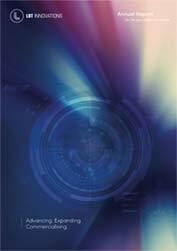 APAS is a digital technology for automated plate imaging, interpretation, sorting and reporting. Hundreds and sometimes thousands of culture plates are assessed in labs every day and currently each one has to be examined by a microbiologist for the presence of bacterial colonies. APAS automatically sorts out the 60-90% of plates that are negative, freeing up the microbiologist’s time to look at the positive ones. With global culture plate volumes current estimated at about 2.1 billion annually, APAS has the potential to address more than 50% of this market opportunity. 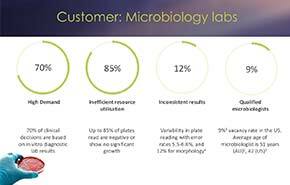 Studies suggest that LBT’s technology could save microbiology labs up to 40% of their per-plate processing costs – not to mention the measureless savings to be generated from a reduction in time between plate incubation and the delivery of results to physicians and patients. What is LBT Innovations’ organisational structure? The LBT Innovations Board comprises leaders with high level experience in the pharmaceutical, healthcare, technology, legal and financial sectors. Their know-how in operations, management, corporate strategy and fundraising is complemented by an intimate understanding of hospitals and laboratories – the company’s prospective client base. The management team is a streamlined unit focused on core operations and innovation. LBT’s Chief Executive Officer and Managing Director is Brent Barnes. After beginning his working life with defence contractor Thales, Brent has spent the past 11 years in a variety of roles with Australian medical device manufacturer Cochlear. Following almost four years in the United States as Cochlear’s Area Sales Manager (South Texas) and Director of Operations (Americas),Brent returned to Sydney in 2011 to take up roles including Director, Recipient Services & Operations (Asia-Pacific) and General Manager, Asia Growth Markets and Operations Director (Asia Pacific). LBT's Management team have a breadth of expertise in artificial intelligence, systems engineering, medical device regulation, project management and clinical microbiology. This supports LBT's core capability of coupling artificial intelligence and software engineering to develop novel solutions for the healthcare sector. Details of LBT's key management personnel can be found under Our People. What is the role of LBT's JV Company Clever Culture Systems (CCS)? Clever Culture Systems AG (CCS) is a joint venture company that is owned 50:50 between LBT Innovations and Hettich Holding Beteiligungs- und Verwaltungs-GmbH (Hettich). Since 1904, Hettich has specialised in the development, manufacturing and marketing of laboratory centrifuges. As such they bring their experience and knowledge of design, development and manufacturing processes to the JV. CCS was established as the legal entity responsible for bringing APAS Independence to market, and since it’s formation in 2013, LBT and Hettich have co-funded the development of the APAS instrument. CCS is responsible for the ongoing manufacturer of the APAS Independence. CCS has appointed LBT as the exclusive distributor for Australia and NZ – the first sales geography globally, to allow LBT to gain valuable early market insight. CCS will look to appoint distributors in other key geographies over the course of 2019 calendar year. Who do I contact for sale enquiries for the APAS Independence? LBT are the appointed distributors for APAS Independence in Australia and New Zealand. Contact us. Can I buy shares in LBT Innovations? LBT Innovations is a publicly listed company based in Adelaide, South Australia (ABN 95 107 670 673; ACN 107 670 673). It was formed in 2004 and listed on the Australian Securities Exchange on 31 July 2006.